4. FINISH - Once you have added all the items you need, simply press "Save/Get Quote" to view your golf package and have it emailed to you and your friends. Or, if you are ready to book the trip, simply press "Book Now" and easily book and pay 100% securely all online. If you prefer to speak with someone on the phone with local experience and knowledge of all things golf in the Branson, Missouri area, please call us at 417-324-7677 we're happy to help you. 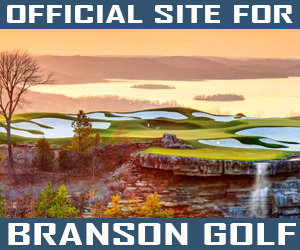 We are experts in Branson Golf Packages! ©2019 BransonGolfTravel.com. All Rights Reserved.